We all get moody occasionally. However, when a cranky mood affects your life, it is time to change your daily habits. Exercise is a powerful fighter of depression. Try adding a workout to your morning routine to improve your mood. Exercise promotes neural growth, reduced inflammation, and feelings of well being and calm. It also releases endorphins into the brain which energizes the spirit. Stress is good in moderate amounts but what happens when we experience too much stress? We can become exhausted, depressed, and our muscles tighten. If you suffer from stress, you are not alone. 40 million adults in the United States experience chronic stress, which qualifies stress as the most common psychiatric illness in the U.S. Exercise can be extremely beneficial if you are suffering from stress. Anxiety and Depression Association of America claims that people who got regular exercise were 25% less likely to develop depression or anxiety disorders then people who do not exercise. One vigorous sessions can alleviate symptoms for hours. Regular exercise can slowly change the way you perceive daily life. When you are at work, every minute of productivity counts! However, all of us zone out at some point. Exercise can give you more energy to increase valuable productivity throughout the work day. Make small changes to increase your productivity, such as taking a walk during lunch, using the stairs instead of the elevator, and waking up a half hour earlier to exercise. Regular exercise can also decrease stress levels which affects work performance. Exercise releases serotonin, a neurotransmitter that stimulates mood and emotions. When you are feeling positive about your work, you can complete projects more thoroughly. Daily food cravings can create a serious problem on our belt line. Exercise will not only help us lose the excess weight but fight cravings that make us gain weight. Many food cravings are caused by stress, emotional needs, and mood swings. Adding exercise to our lives releases endorphins to improve our mental health and decrease food cravings. You can also find exercise helping people stop other unhealthy habits, such as smoking cigarettes or excessive drinking. Forgetting daily tasks can be annoying. Before you jump to the conclusion that dimensia is setting in, start exercising daily. Exercise increases oxygen to the brain. This can reduce the risk of disorders that cause memory loss, such as cardiovascular diseases and diabetes. PTSD victims often suffer from extreme anxiety. Their relationships, work, and mental health can be affected. Exercise decreases levels of stress, anxiety, and depression. Acta Psychiatric investigated the effects of exercise on victims of PTSD. 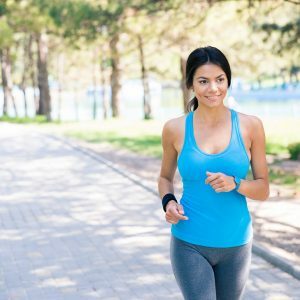 The study found a 12-week exercise program that included three 30 minute resistance training sessions a week and walking, lead to a significant decrease in PTSD symptoms, depression, and better sleep quality. Check with your mental health provider before starting an exercise program if you suffer from PTSD. The mental benefits of exercise are just as important as the physical benefits! Start exercising to improve your daily mental health. A Fitness 1440 Personal Trainer can build you a workout plan to help your physical and mental well-being.